There is nothing quite like a summer wedding in the heart of the English countryside, especially when it takes place at the family home where the bride grew up. The significance of the setting always adds that extra special touch to the day.Last summer I was invited to photograph Gregory and Laura's wedding in the heart of the East Sussex countryside. It was a beautiful day with lots of personal touches that made it very unique and for me it was the first wedding I've ever attended where the catering company belonged to the groom himself! The garden of Laura's family home was transformed with a beautiful marquee at the end of the lawn. Early in the day, I joined Laura and her bridesmaids in the house as they were put the finishing touches to their makeup. The house was buzzing with activity as Gregory's team prepared the grounds and marquee for the reception. The first thing that struck me when I arrived was the magnificent collection of vintage cars parked outside. Laura's parents are keen collectors, so it was only right that the cars played a prominent role in the day. As the bridal party prepared to leave, I made my way to the pretty local church where Gregory and his ushers were welcoming friends and family. 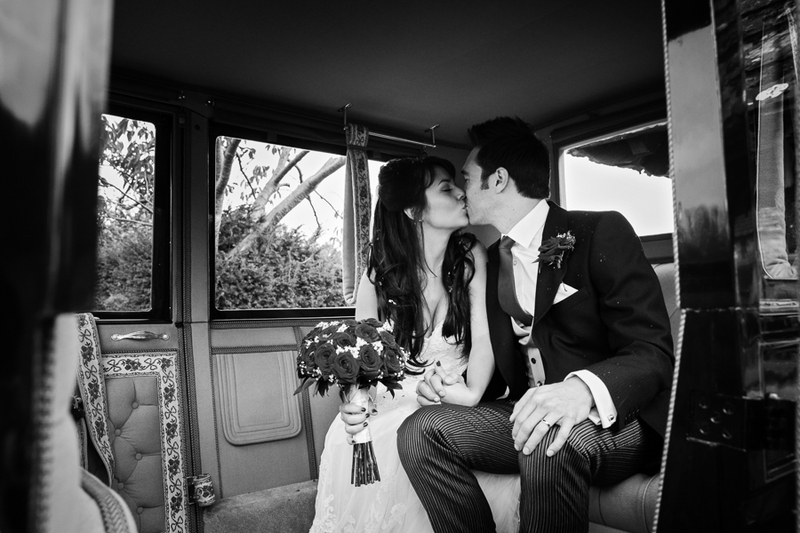 Once everyone had gathered inside, Laura arrived in a beautiful vintage car and walked down the aisle on the arm of her proud father. After a lovely ceremony, the guests streamed out into the church grounds to form the longest confetti line I've ever seen organised by the very efficient ushers - top marks! The guests made their way back to Laura's family garden for the reception. 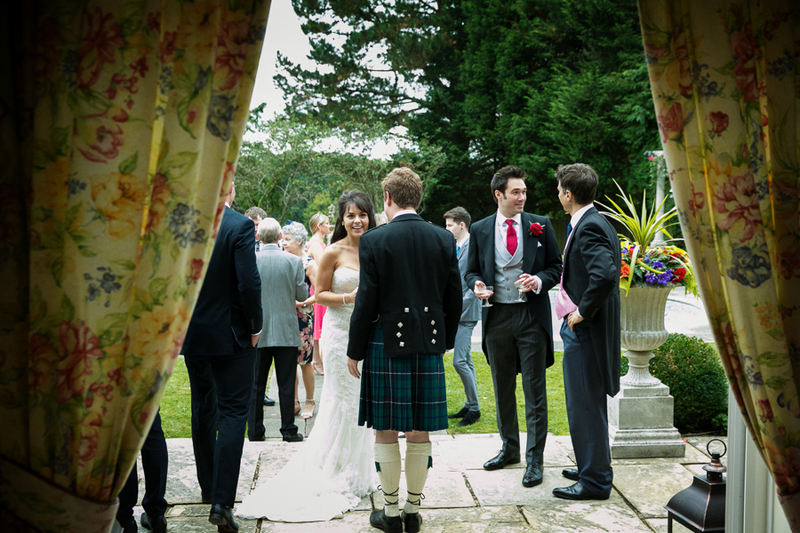 The sun shone down as drinks and canapés were served on the lawn in front of the house. A magician strolled around the garden amazing the guests with his tricks while a band played jazz completing the idyllic scene. After cutting the beautiful cake, the happy couple stole away for a few quick portraits in the grounds of the family home before dinner was served. Just as the last of the guests took their places in the stunningly laid out marquee, the heavens opened and there was an almighty downpour - the very definition of perfect timing! Gregory's catering team served four delicious courses which were followed by some hilarious speeches including a special toast from the best man at the end of which everyone had to drink a miniature bottle of limoncello and balance the top on their noses!It was then time for the couple's polished first dance which had been choreographed especially. As everyone joined them on the dancefloor, I took my leave sure that they would see the rest of the night off in style.